Wahoooo! Look what UPS just dropped off! That’s right MidgetMomma Logo T-Shirts!!! So I will be randomly doing giveaways for you with them! One Lucky MidgetMomma Fan is going to win one! No purchase necessary to enter, leave a separate comment for each entry method. This giveaway is not associated with any of the entry methods, This giveaway will run till 11:59PM EST on May 18, 2012. The winner will be picked using And the winner is (a random winner picker) and will be announced in a new blog post the day after the giveaway has ended. Giveaway is open to those 18 years or older Winner will be contacted and have 48 hours to reply to contact e-mail or the prize is forfeited. Midgetmomma is responsible for prize fulfillment.This giveaway is open to US residents who are 18 years or older. This giveaway is not associated with any of the entry methods, facebook, twitter ect. Because the shirt looks so pretty and it’ll be fun when people ask about it. It`s a kwl looking shirt, would love to own one!!! I would love the shirt because it looks so cute & I love your blog! I’m a Facebook Fan.. I like you I really like you! 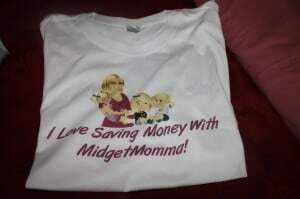 I want to tell the world that “I save with Midget Momma”. I would like a shirt because I’m passionate about the fact people can save money with coupons and shopping wisely. Plus I’d be happy to tell them to visit your website because it’s helpful. already a facebook fan. would love to win a shirt! Love the deals you pass on! 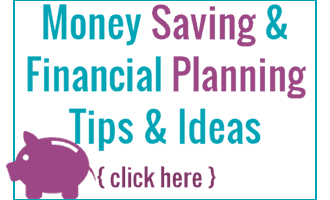 Already subscribed to your email newsletter! Because I like your blog & want to share it with others. You have a great blog and I would love to be a walking advertisment for you. I lke your facebook page.